Tibet is one of the world's most extraordinary destination and there is adventure indeed lurking around almost each and every corner. Tibet (Xizang), known as the 'Roof of the World', has become a dream destination for trekkers , travelers, climbers, adventurers and regular tourists from all over the world. 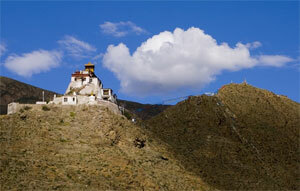 Tibet is one of the most travel destination in Asia. Tibet travel offers unique adventure packages such as Holy Kailash tour, Tibet Everest base camp tour, Tibet overland tour, Simikot Kailash tour, Tibet potala palace, Tibetan Monasteries, ancient houses , beautiful landscape & Tibetan Sherpa culture. Visitors are guaranteed to enjoy the enthralling year-round snow, aerial mountains, mysterious religions, exotic customs and spectacular inhabitants of Tibet. The Tibet Autonomous Region (TAR), short for 'Zang', is located in the southwest of China. 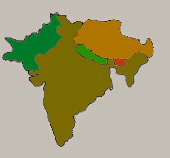 The region extends along the borders of the Xinjiang, Qinghai, Sichuan and Yunnan Provinces to the north and east and the five foreign countries of Burma, India, Bhutan, Sikkim and Nepal to the south and west. Tibet covers an area of over 120 square kilometers, making it the second largest region in China after the Xinjiang Province. However, due to adverse conditions, this broad land is only inhabited by 2.6 million people, giving it the smallest density of population of all the provincial administrative regions in China. Tibetans constitute over 90% of the population and spread across Tibet. Other nationalities like Han, Hui, Mongol, Menpa also inhabit the entire Tibet, but are mainly found in Lhasa, Shigatse and other cities or towns. The valley bottoms of Tibet are higher than the highest mountains elsewhere. It's snow covered plateau are the highest in the world , and apart from the Everest , which Tibetans see from 'the other side', many mountains are over 15000 feet. The physiognomy of Tibet is very complicated and varied. In the north lies a high plateau surrounded by the serial mountain ranges of Mt. Nyainqentanglha, Karakoram Mountains and Gangdise, while the huge Himalayas range extends through the south. In the east lies another smaller continuous mountain range, Mt. Hengduan, which separates Tibet from inner China. Various landscapes composed of basins, plains, canyons, valleys, lakes, rivers and glaciers form in the low areas of Tibet. Tibet is the headstream of many large rivers such as China's Yangtze, Yellow River, Yarlung Tsangpo River (Brahmaputra), Jinsha River, Nu River (Salween) and Lancang River (Mekong) and India's Indus and Ganges. Over 1500 lakes are sprinkled over Tibet, of which most are located on the northern plateau, making it the area in China with the highest lake density and earning it the reputation of being the 'Hometown of Lakes'. The Karuola Glacier is also a natural wonder that has conquered the hearts of many tourists. After centuries of virtual isolation from the rest of the world, Tibet has now cautiously opened up, with international travelers first permitted entry 30 years ago. A visit to Tibet is a marvelous experience, an adventure that will provide you with unforgettable memories for the rest of your life.